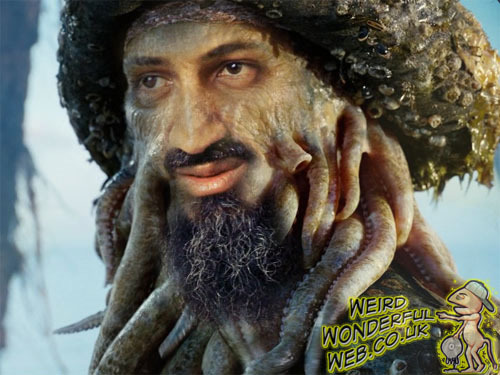 Salvage diver may not like what he finds when diving for Osama Bin Laden's body. An American salvage diver named Bill Warren plans to dive and recover Osama Bin Laden's corpse. "I'm doing it because I am a patriotic American who wants to know the truth. I do it for the world". The experienced diver calculates his two week mission will cost him around $400,000. He will be accompanied by a film crew to document the event. Once Bin Laden's body is located and recovered he plans to photograph, video and perform a DNA test right there on the ship. "The Obama administration should have released the photo, like we did with Billy the Kid, or [John] Dillinger, or even Saddam Hussein," said Warren. "I have a Russian girlfriend, and she tells me that over there, in intelligence circles, they don't believe bin Laden's really dead."